by Remus Gabriel Anghel. et al. Do the current changes of both geographical and symbolic boundaries lead to the emergence of a world society? How do transnational migration, communication and worldwide economic and political networks manifest themselves in globalised modernity? 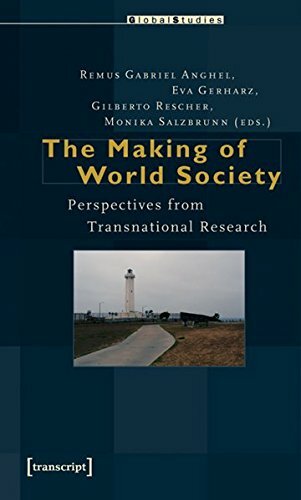 This book presents innovative contributions to transnationalisation research and world society theory based on empirical studies from Asia, Africa, Latin America and Europe. Practicable methodologies complete theoretical inquiries and provide examples of applied research, which also might be used in teaching.